Hey! 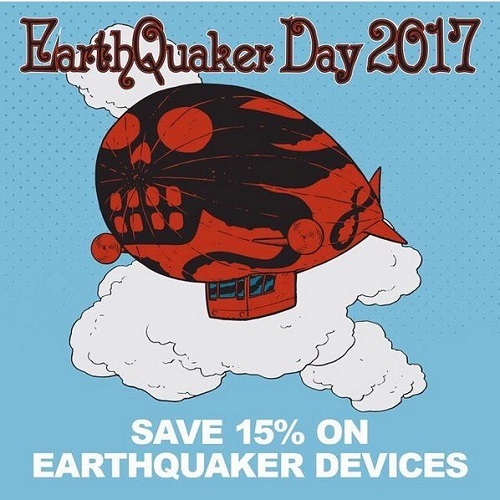 August 5th is EarthQuaker Devices Day! If you can, go party in Akron w. EQD. If you can’t make it to the Buckeye State, then hang with us. Try out the full Earthquaker pedal line (while supplies last) and save 15% on our new favorite EQD. On Saturday August 8th from 11a-8p we’ll be offering free 15 minute pedal consults and 60 minute deep dive into these amazing sound machinators for $30. And of course a sweet 15% discount on your pedal purchase.